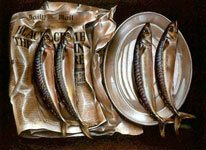 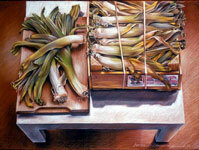 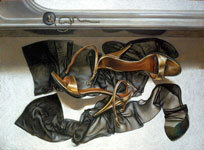 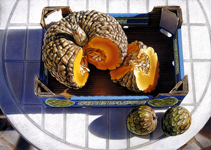 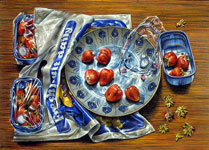 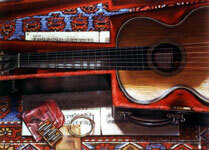 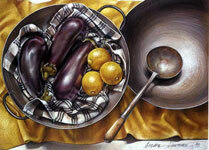 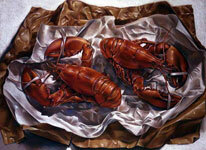 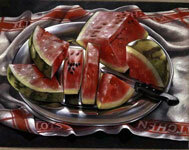 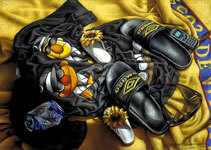 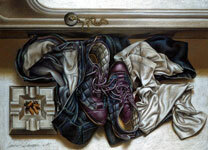 This page has thumbnail images of still lifes art prints. 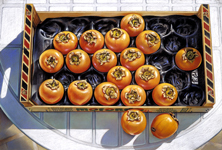 They include images of fruit, fish, flowers, food as well as musical instruments and scenes from old films seen on TV in New York about 1980. 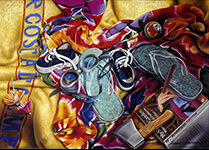 Click on any individual thumbnail to go to its image blowup page. 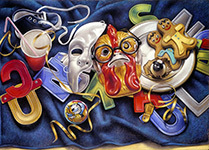 These blow up pages have larger images with more detail.